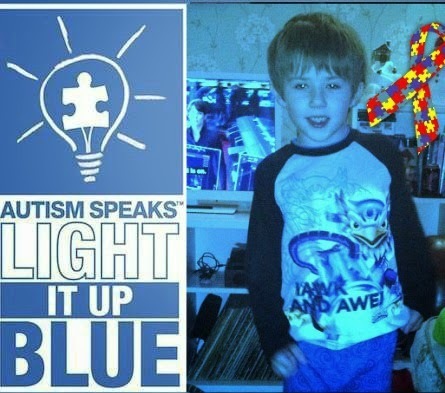 Today begins Autism Awareness Month, across the world. But, what does that mean, for little old me, and my family? In all truth, not a lot! As always, I won't say too much about my other child on the spectrum. Because, despite how 'aware' we all claim to be, he would still get picked on and pushed out. It is our job to educate our children to understand differences, something too many fail at. My only hope, is that people will read up about autism. That one day people will stop asking stupid questions. No, my children will not grow out of it. It is NOT a temper tantrum. So, yes, I will be changing my profile picture blue for April. I won't be pressuring people to understand, that is a choice. Same as, how I raise my children is my choice. If you ever want to ask me something that you don't understand, feel free. I won't be offended, I'll be pleased you care! It would be lovely if just one person reading this today looked up Autism, though. Little steps make big changes.